Released along side with Noctua’s Redux line up of fans which were focused towards offering value, the Industrial PPC lineup is more focused about even better durability and reliability in harsh environments. The Industrial PPC fans only come in two sizes, 120mm and 140mm variants. There are a total of 8 different configurations that offer different features such as 3-pin and PWM variants, the choice of 2000 RPM and 3000 RPM fans, as well as different certifications of waterproof and dust proofing. Yes, the Industrial PPC lineup offers IEC 60529 standard certifications. Like the Redux line, the Industrial PPC fans also deviate from Noctua’s normal brown and beige colour scheme and instead have a black and brown colour scheme. Unfortunately the Industrial lineup does not offer round frame 140mm fans with a 120mm mount. In the box, you will not find the regular accessories like the rubber fan grommets and lower noise adapters. This is something that I would expect from Noctua’s lower cost fans, but at $30 a fan, I would at least expect accessories from the regular line. The Industrial PPC lineup of fans are based off the latest generation of Noctua fans so they take advantage of the new AAO or Advanced Acoustic Optimization frame as well as SSO2 bearings with metal shells. They also come with the brown silicone corners to help with vibration isolation. The fans also have a new three phase motor which makes the Industrial PPC fans even more efficient that their normal counterparts. The construction of the fans have been changed from PBT to a polyamide material that Noctua has not released information about. The polyamide material should help with the dust wand water that the new fans are certified to protect against. They fans offer a IP52 certification or a IP67 certification. IP stands for Ingress Protection or in simpler terms, how well the products are protected from impacts, dust, and liquids. The IP52 certification means there is limited protection from dust and water. This means that dust can enter the fans but will not lower the performance of the fan and that the fan is protected against dripping water such as rain for ten minutes at a 15 degree angle. IP67 on the other hand means that the fan is completely sealed or “dust tight” and doesn’t allow dust to enter the fan at all and the fan can be submerged in one meter of water for up to 30 minutes and still work fine. Upon submerging the IP67 certified fans in water, I noticed that they automatically stop spinning and start pulsing. This may be a self protection feature implemented by Noctua to prevent further damage to the fans from running them with more resistance. 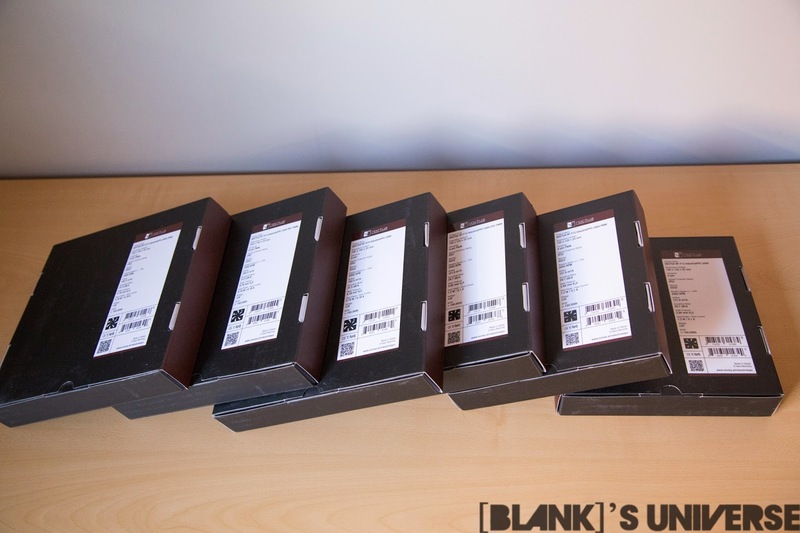 Like all Noctua fans, these come with the standard 6 year warranty. As for fan noise, the increase in RPM does increase the noise significantly. The sound test were performed with the microphone placed 2 cm away from the side of the fan's frame. The Industrial PPC fans are not for people who want a quiet fan, or people who are in the market for a 2000-3000RPM fan. Instead, these fans are for people who have computers that can’t fail or are in places where they can not be check on often or are not easily accessible. 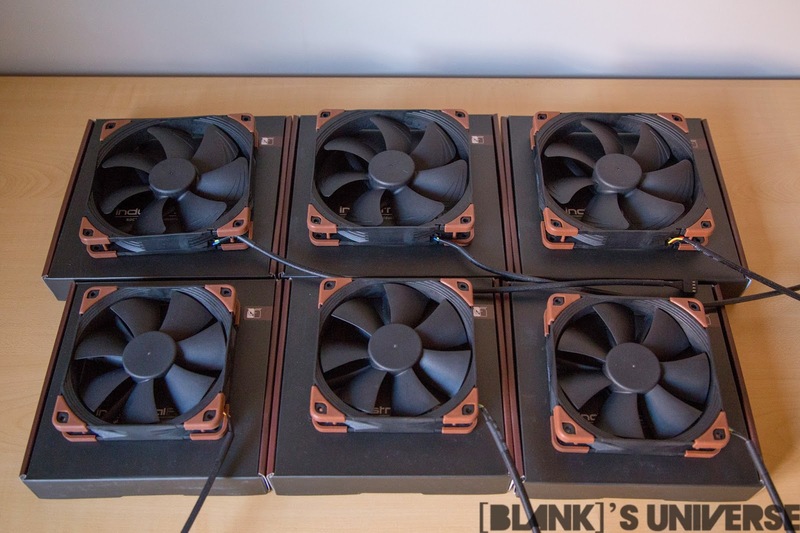 These fans are great for computers that may be in a workshop, being used for a cnc where airborne sawdust is a large issue for computer fans, or a Bitcoin miner in an attic. The dust protection is fantastic and its great to see a company create a fan designed for harsh environments in mind. Although the dust protection is fantastic, I see very little use for the water protection as water and computers do not go together (unless you’re watercooling but normal fans work for that). With Industrial PPC fans, you will no longer have to worry about buying new fans if you happen to accidentally drop your computer in your bath tub. With the jokes aside, the Noctua Industrial PPC fans are a must buy for people who have to constantly replace their fans due to dust or debris entering and damaging the fans. They are also suited for users who want the performance and silence of a Noctua fan, but want it in black. Overall the Industrial PPC lineup of fans are extremely well suited for what their name says, Industrial use.